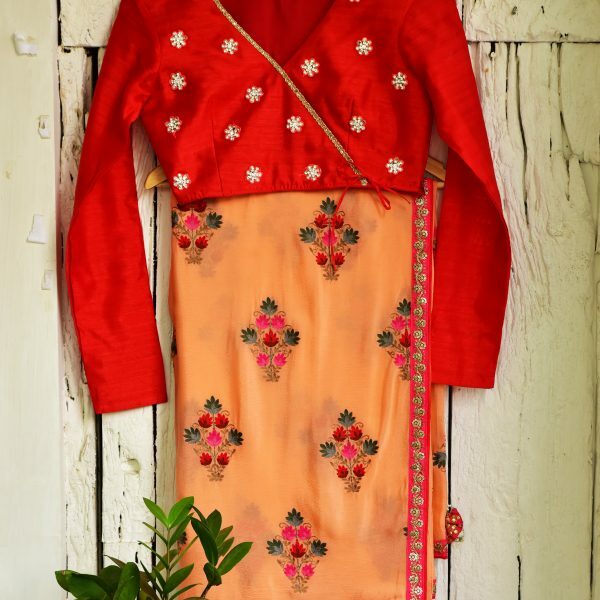 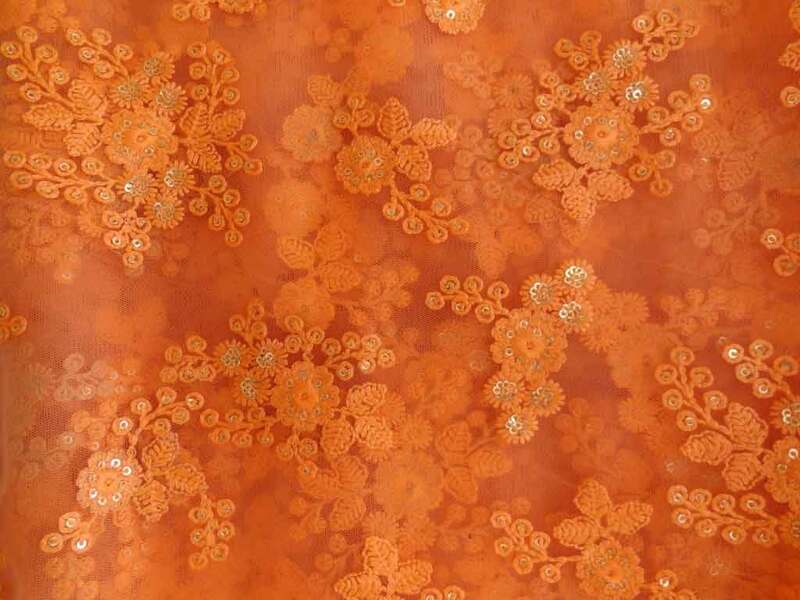 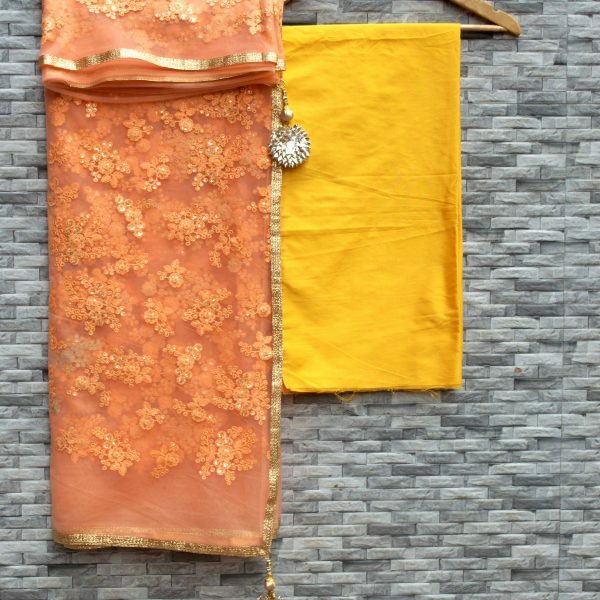 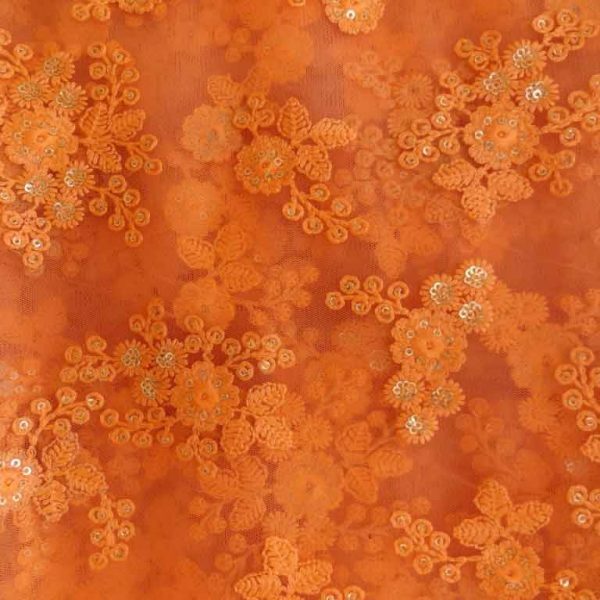 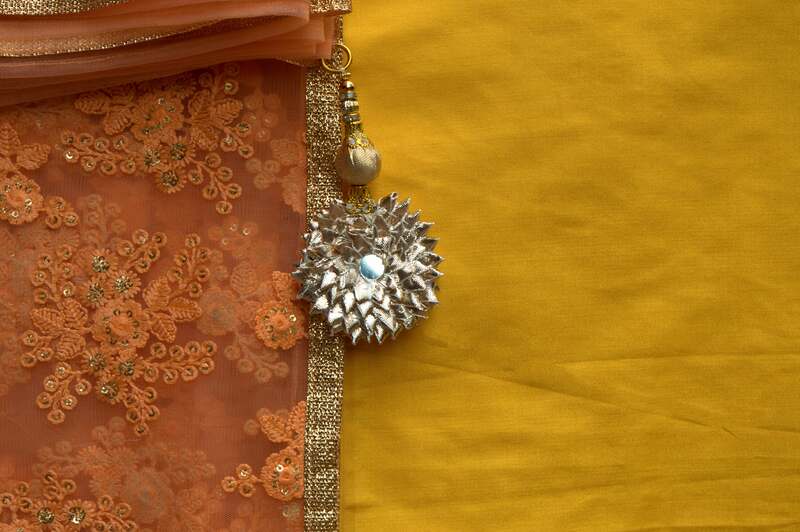 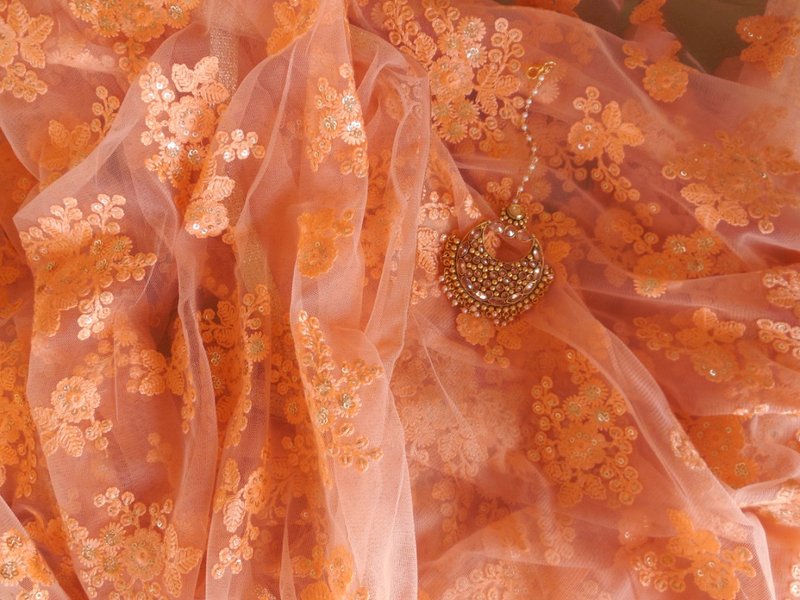 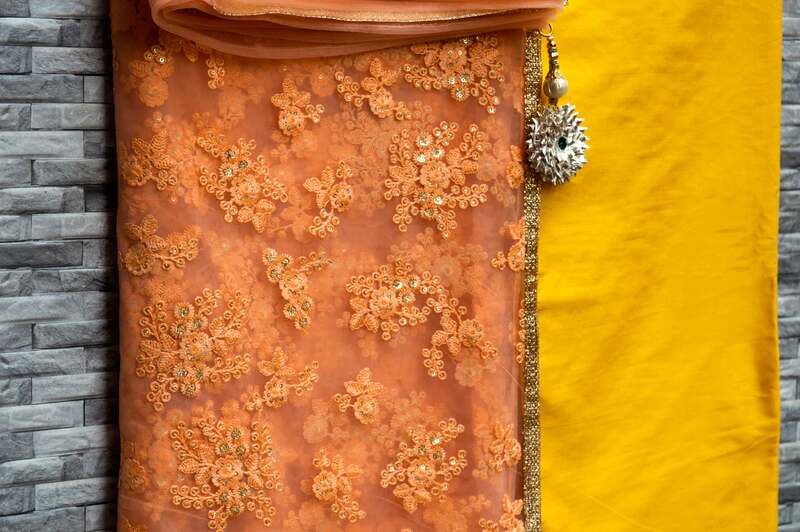 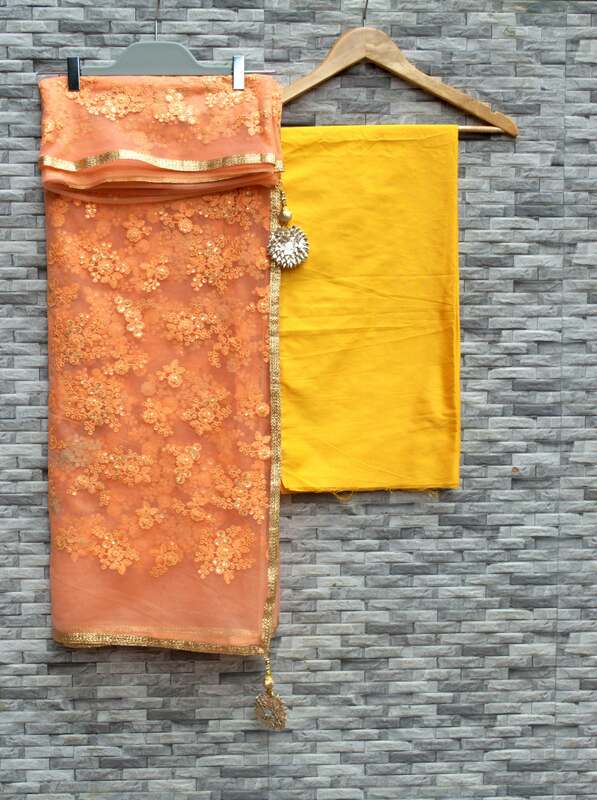 Orange net sari with floral thread work with sequins detailing all over and a half inch border of gold zari. 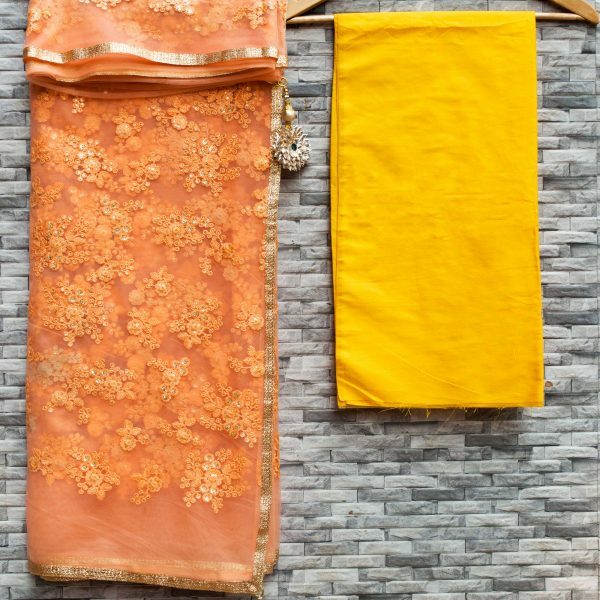 The sari is matched with a plain yellow cotton silk blouse (blouse piece provided). 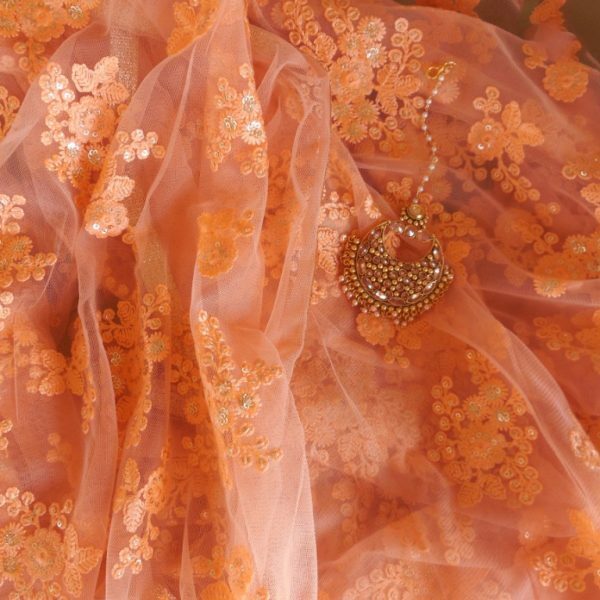 Matching satin petticoat has also been provided. 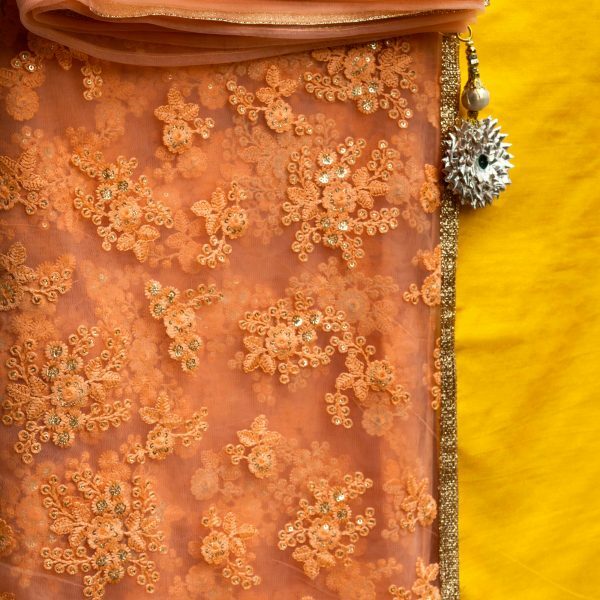 The orange net Sari was a delight to wear. 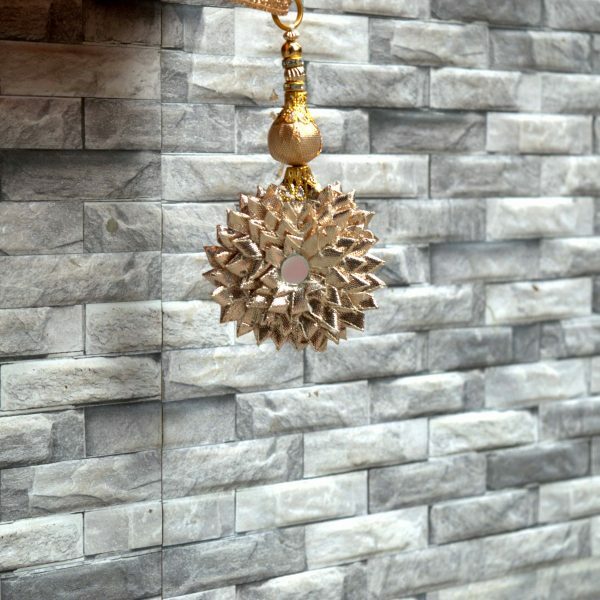 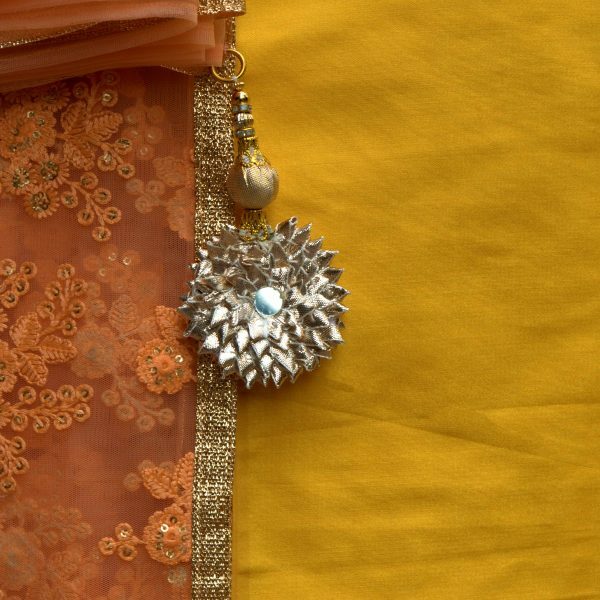 The Zari border added the glamourous touch to it along with the contrast yellow blouse which I got stitched with dangling latkans. 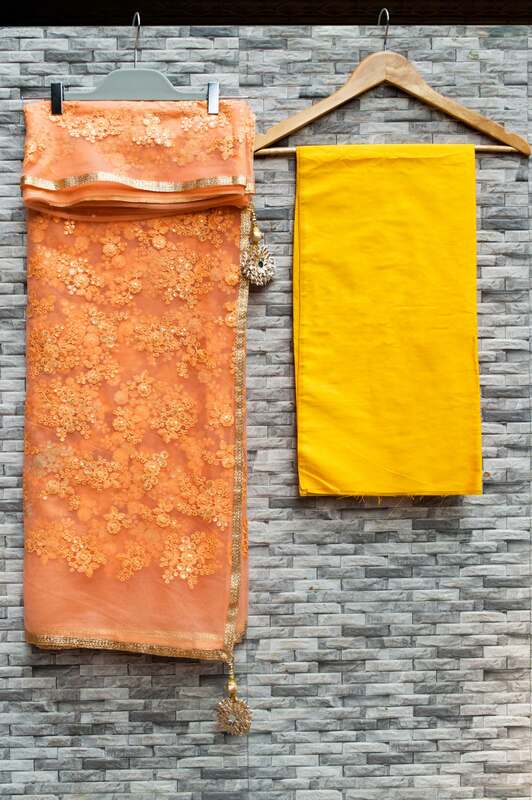 I wore this sari for a traditional lunch, but surely this can be repeated at any other fun/traditional gathering where you want to wear ethnic.